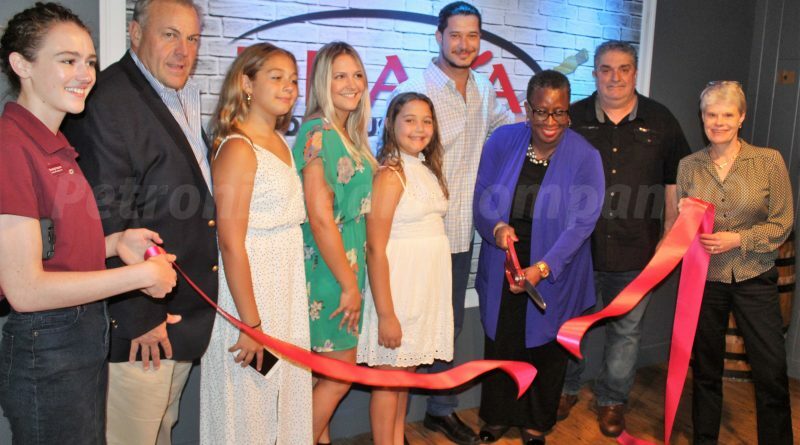 FRAMINGHAM – A ribbon cutting ceremony was held Friday night, June 22, for Braza Union House Bar & Grill, which opened its doors on May 20 in Framingham. Located at 672 Waverly Street, on Route 135, the establishment is a restaurant, a sports bar, and an events hall, that hosts entertainment on Thursday, Friday, and Saturday evenings. It can be rented out for functions, too. Owners Alasandro and Amanda Vicente live in Framingham. This is their second Braza restaurant. The first opened in the City of Everett, and is very popular. 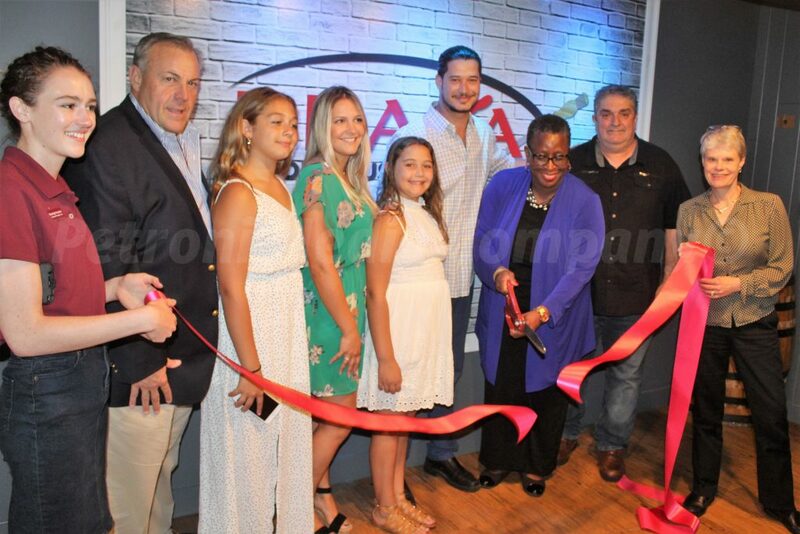 Mayor Yvonne Spicer, at-large City Councilor Cheryl Tully Stoll and Phil Ottaviani, whose family owned the Union House restaurant in that location for years, attended the ribbon cutting ceremony, along with the owners and their two daughters. “Our main focus is to serve quality food at a great value,” said Amaanda. “The Braza Union House philosophy can be simply stated: We want you to have a wonderful experience of a real Brazilian barbecue. Each staff member shares this feeling – from the front door to the kitchen door,” states the website. 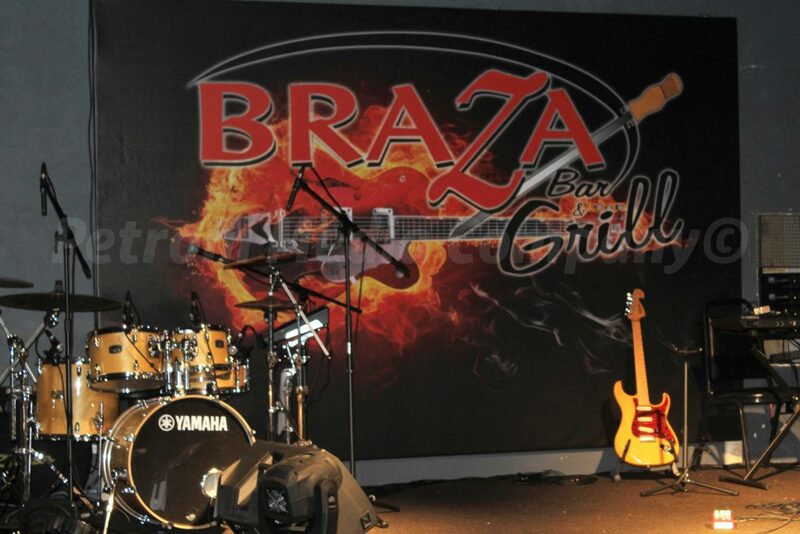 Braza’s signature Rodizio is a multi-course meal where delicious cuts of meat, sliced slightly thin as a steak, cooked on a purpose-built “CHURRASQUEIRA” in skewers above the embers of glowing hot coals, made of greatly heated wood, served or plated right ate your table, at a fixed total price. The Rodizio meal comes in two parts. First, guests find their selection and combinations in all-you-can-eat complete self-service buffet of side dishes, vegetables, and salads. The second part of the meal consists of 10 different cuts of; beef, pork, chicken and lamb, that is served table-side by professional team of PASSADORES. Click here for the ala carte menu. The establishment was the last to be granted licenses by the Town of Framingham and the Board of Selectmen. They were approved with a common victualer license, an all-alcohol license, and an entertainment license. The hours will be Monday through Thursday from 11 a.m. to 1 a.m., Friday from 11 a.m. to 2 a.m. Saturday from 11 a.m. to 1 a.m., and Sunday from noon to 1 a.m. 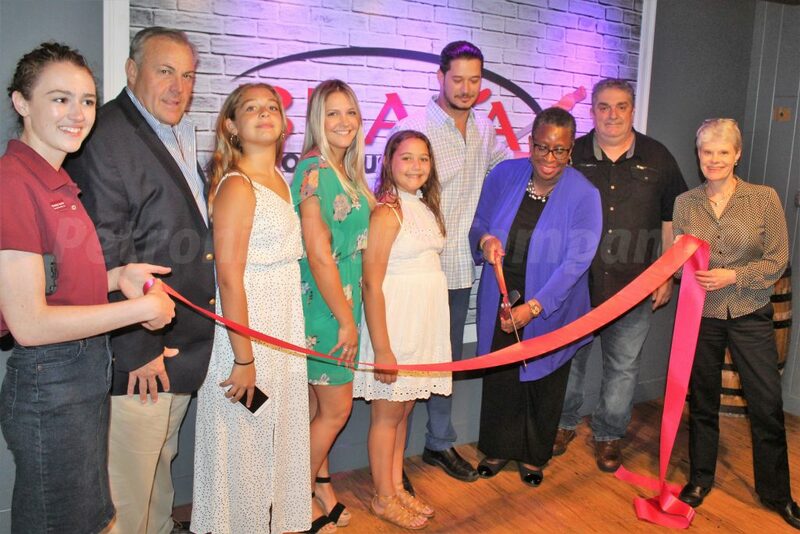 Downtown Framingham Inc. supplied the ribbon and scissors for Friday’s ribbon cutting ceremony.